Every year, 1,000 families in 30 communities build up their capacity and improve their quality of life within the project's ten lines of action. Many more families are reached through common activities carried out at schools, community events and other instances. 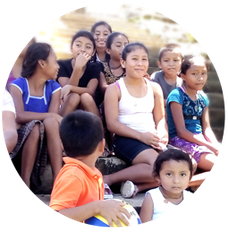 The project fights poverty hand in hand with the people of Stann Creek and Toledo districts to secure that every child can grow to his or her fullest potential. 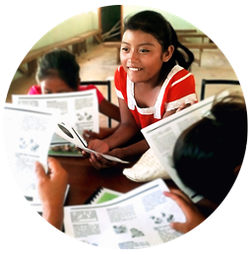 Child Aid recognizes that working with the community as a whole, not only improves the life of children; it allows each community member to take control of the welfare of its own life and - with its achievements - to positively impact it's community and country. To achieve sustainable grassroots development, the Project is centered in the following community development actions and activities. 1. 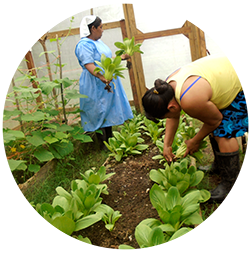 Improve the income of the family: Mentoring in the establishment and management of backyard vegetable gardens, pass on loans and other income generating activities. 2. Health including nutrition, sanitation, HIV/ AIDS: Educating children, youth and parents on how to avoid preventable diseases and to improve nutrition. Mobilizing communities to minimize malaria and dengue. Spreading awareness about HIV/AIDS through door to door campaigns. 3. Pre-schools: Promoting pre-school enrolment and working together with the teachers to carry out WASH campaigns, summer programs and other activities. 4. Children are active in society: Organizing clubs for children and youth. Empowering the participants to take action about pollution, HIV and Aids, malaria and much more. 5. Children in difficult situations: Mobilizing communities to assist children and families in difficult situations. 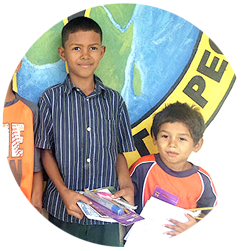 Supporting vulnerable children with school materials, income generating activities, food, etc. 6. 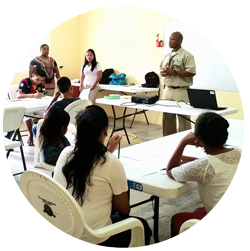 Education: Assisting with the improvement of school buildings and playgrounds. Implementing awareness campaigns about nutrition, sanitation, hygiene and HIV/Aids. 7. Environment: Carrying out education campaigns and actions that encourage soil conservation, recycling, climate smart agriculture, tree planting, firewood saving stoves and more. 8. 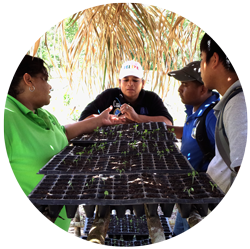 District development: Works closely with district and local partners to initiate and carry out community actions. 9. 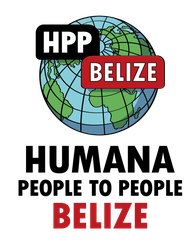 Culture and Communication: Promoting the cultural exchange between the different ethnic groups and the celebration of Belizean traditions. 10. 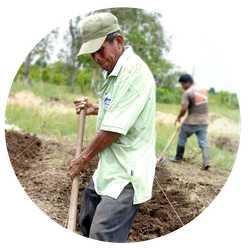 Farmers Club: Encouraging environmentally friendly farming and local food production with improved planning and budgeting. In 2016, the population of Stann Creek district ascended to 41,032 people and in Toledo district to 35,800 of which, 75% and 83%, respectively, live in rural areas. 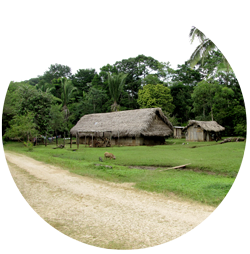 In 2009, the Country Poverty Assessment (CPA) Report for Belize noted Toledo as the poorest district in the country - with a rural poverty rate of 73% - and Stann Creek as the third poorest with a rural poverty rate of 53%. Agriculture remains the predominant economic sector of the Toledo District. Agriculture accounts for over 42% of Toledo’s employed population. Over 40% of the children in Toledo are malnourished and affected by stunt growth. 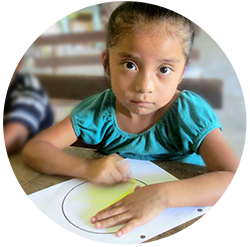 4% of children in Belize drop out of school before completing primary school and this percentage is much higher in rural Toledo alone. 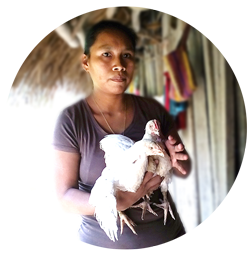 The direct beneficiaries of the project are families from vulnerable groups from marginalized rural communities in Toledo and Stann Creek districts; it includes members of immigrant, farmers, women, youth and indigenous groups. Community leaders and local public authorities.